The fridge is in need of replenishment–post festivals. This was only partially solved by a visit to Lautrec market this morning. No fishmonger–obviously still in recovery from the New Year festivities. They take New Year as seriously as the Scots here; so--seriously. I came back from the market with a couple of leeks, two fennel bulbs and some eggs. Eggs for lunch, but what to do for dinner? It’s been a while and it would hit the spot! Feeling lazy, I’ll peek on the web, I thought, looking for a good recipe…. 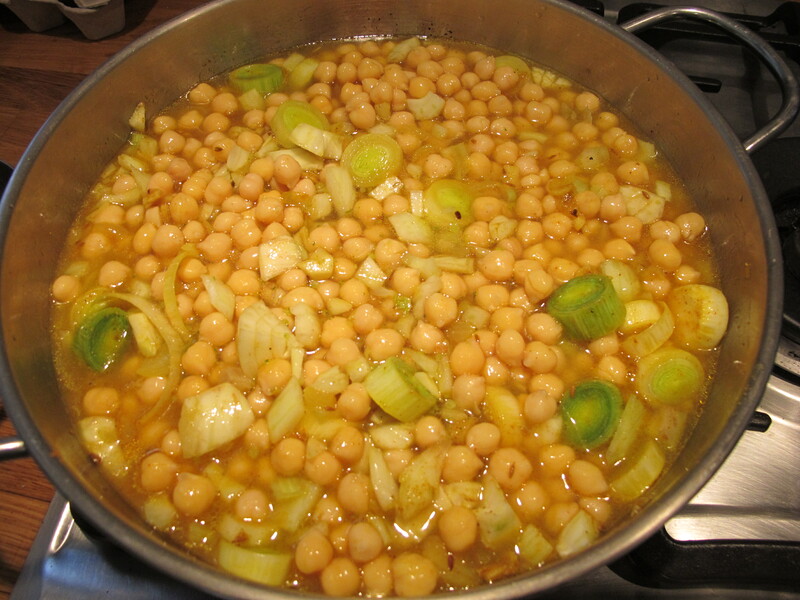 First suggestion from Mr. Google: Chickpea, leek and fennel curry from robin-ellis.net!! This recipe appears in my new cookbook, Healthy Eating for Life, out 8th January–NEXT WEDNESDAY (my birthday!). 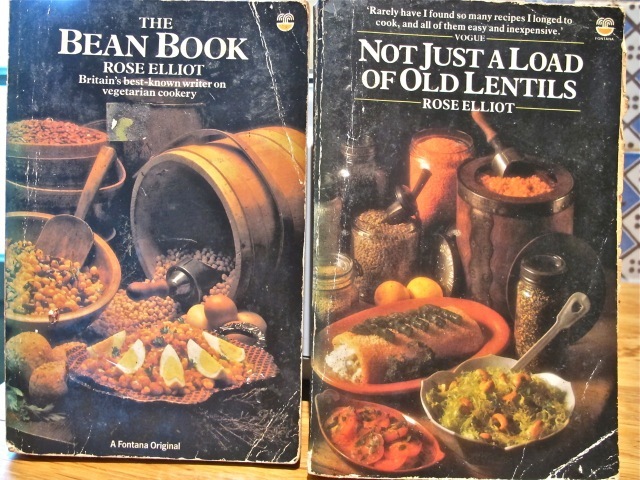 The recipe is inspired by Rose Elliot’s vegetarian cookbooks–on my shelf for ages and much thumbed! First published in the 1970s, her recipes have withstood the test of time–and the ingredients often fit with my way of eating. 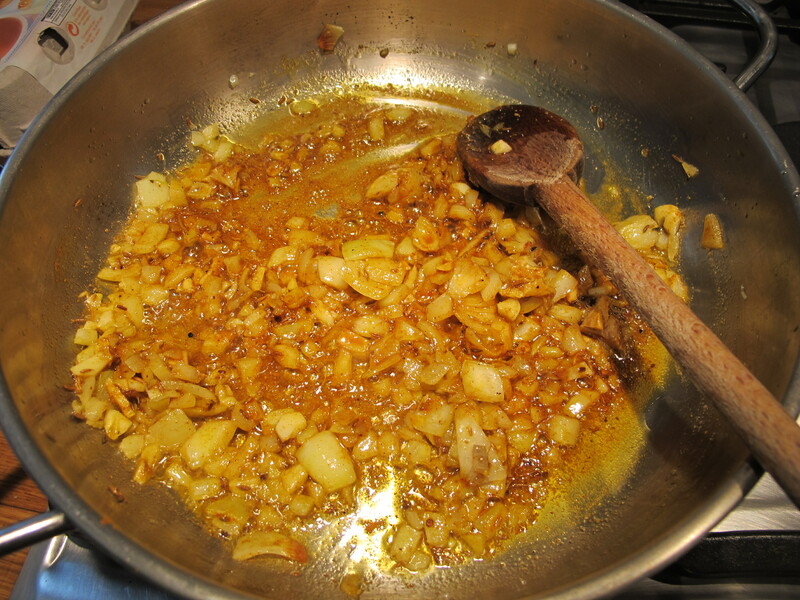 Gently fry the cumin seeds until they start to pop. 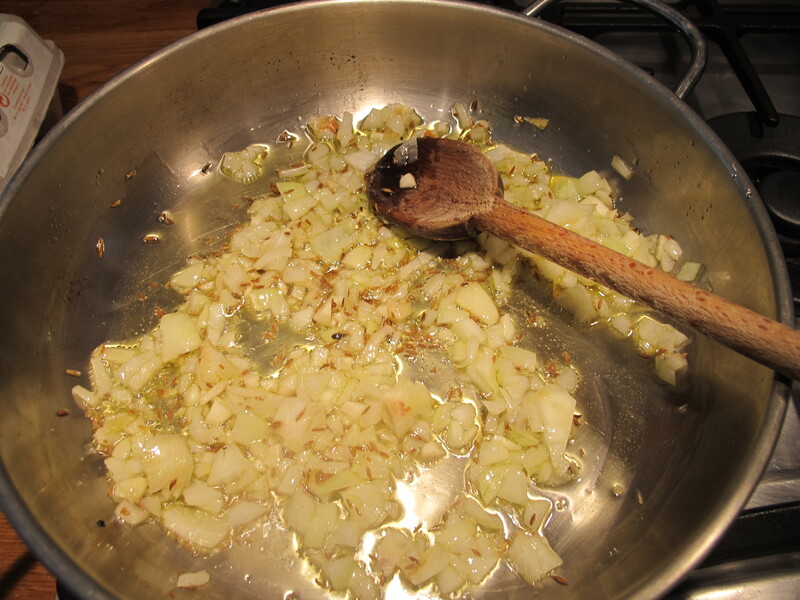 Add the onion and garlic and soften–about 3 minutes. Add the spices and mix them in. 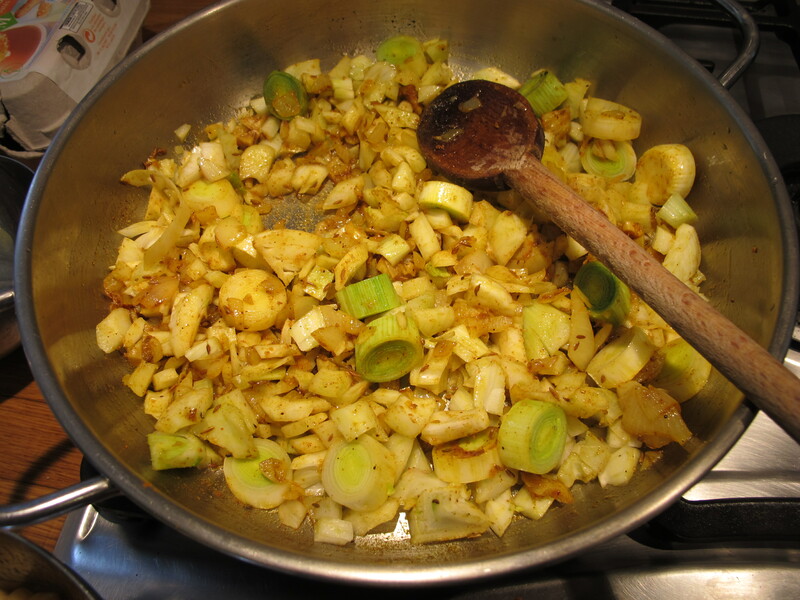 Add the leeks and fennel and mix. 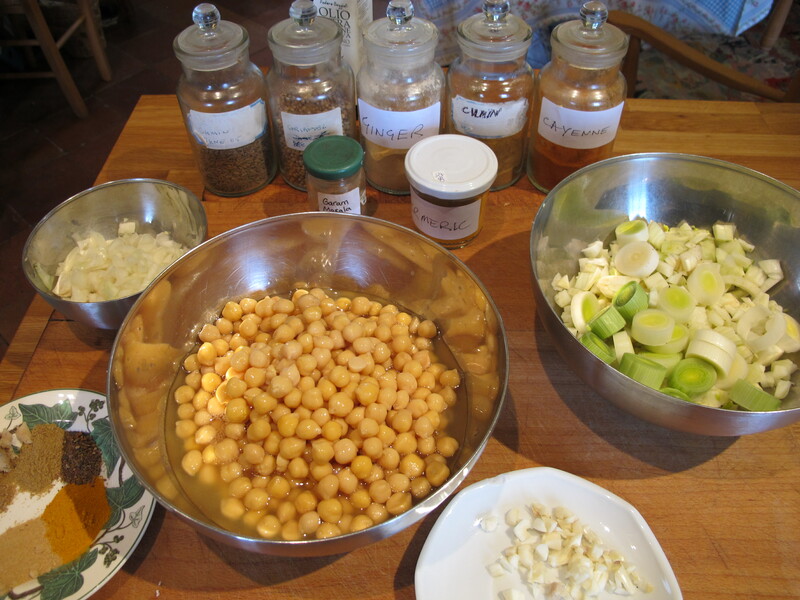 Add the stock–start with half a pint and adjust as needed. Bring the mixture up to boil, then cover the pan and simmer for 20 minutes. 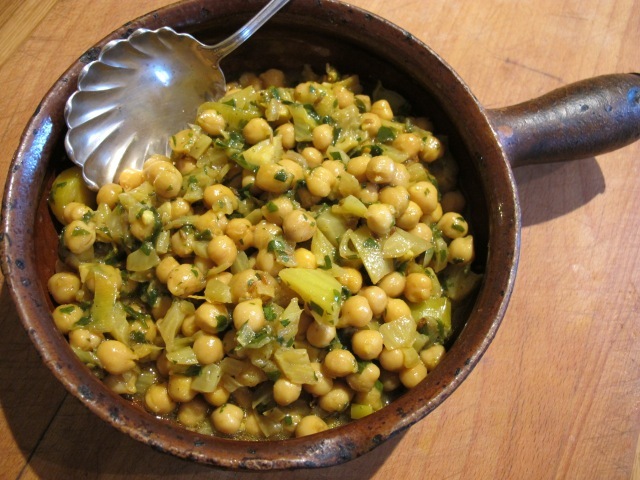 Fold in a tablespoon of parsley or coriander. Brown basmati rice and yogurt sauce.